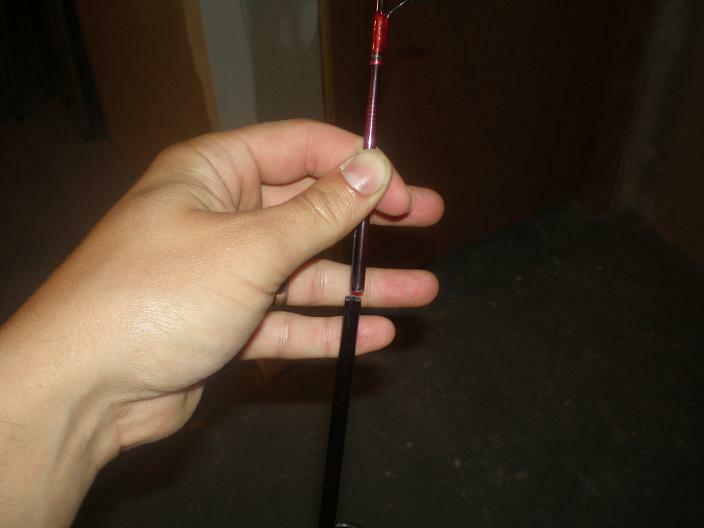 A good fishing pole can go from being your best pole to junk in a matter of seconds. 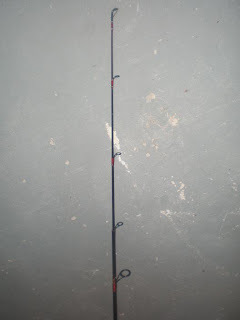 If you are like me, you do not fish with bad equipment so a broken fishing pole can be a hit to the pocket book and diplomatic relations at home... another wasted purchase in the eyes of your significant other. Do not fret if you find yourself in this position. I have broken a couple rods in my day and have fixed each one so that they were like brand new. All you need to do is purchase a rod repair kit and you are ready to repair that pole. 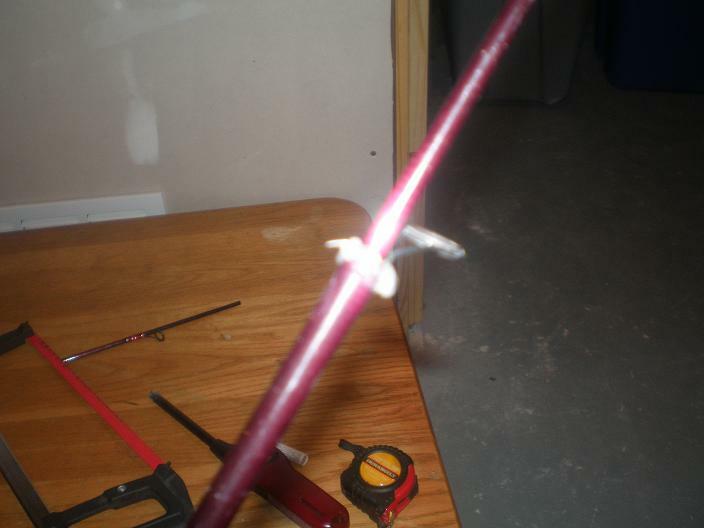 When it comes to repairing a broken fishing pole, all cases are different but most can be solved using two methods. If the rod breaks half way down the pole, you can use the old rod tip and simply glue the pieces back together. 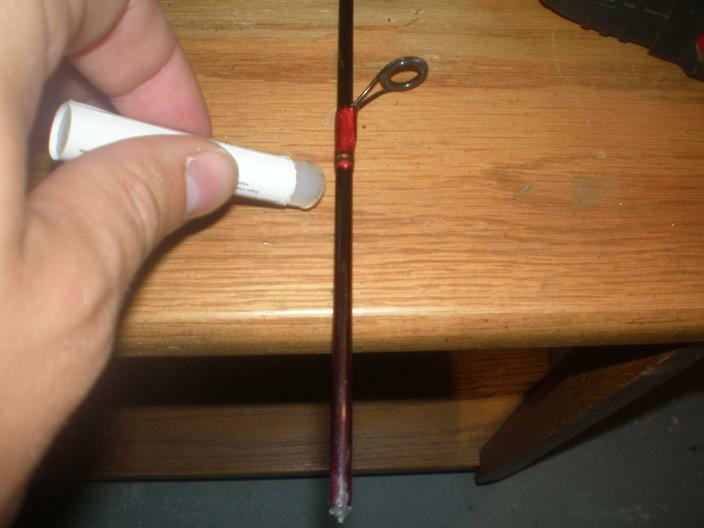 If the rod breaks right below the tip of the rod, you will have to replace the rod tip with one out of the kit you purchased. 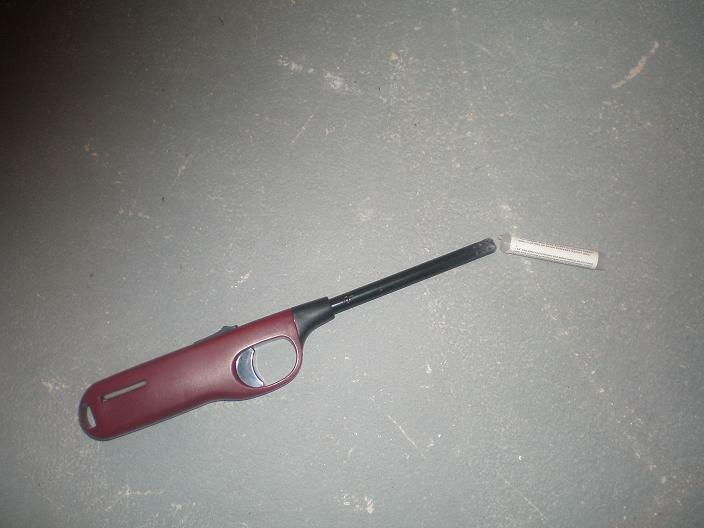 My first example is a rod that I dropped my spare tire on. The rod broke in the upper 3 quarters. I utilized the first method of simply gluing the rod back together. 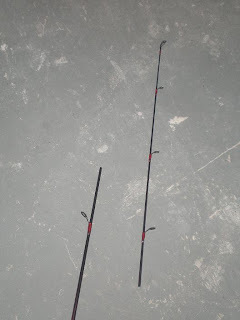 I actually didn't mind that the rod broke because it was a little long for what I was using it for. 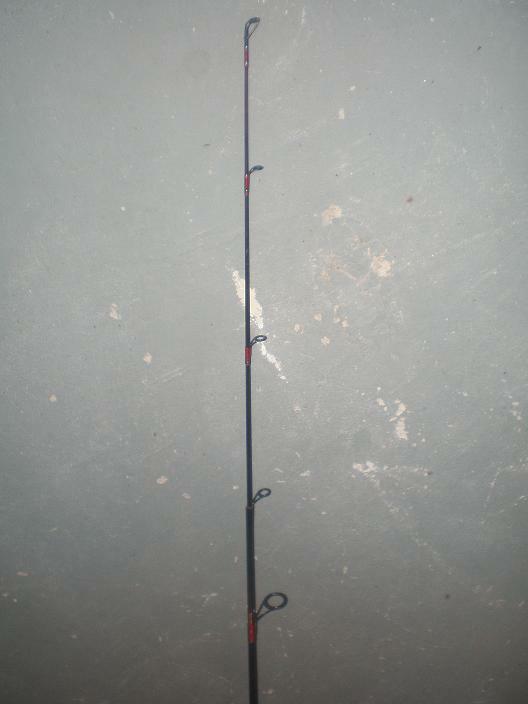 The rod went from being a 7 footer to a 5 foot 8 inch model... perfect for vertical jigging. 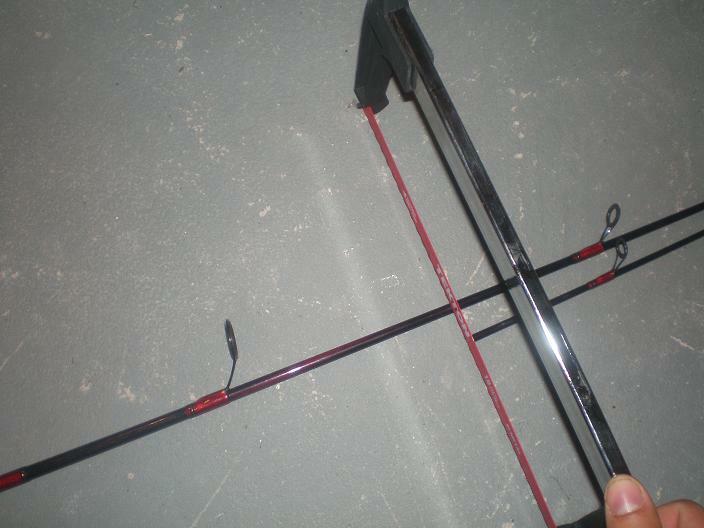 As you can see, the rod broke in the upper 3/4. The upper portion was still good. It just needed to be inserted into the lower portion. I had to cut the rod so the top piece would slide into the bottom. Make the cut with a hand-saw. When making the cut, try to make it as straight as possible. Heat the cement stick to get it ready to apply to the rod. The portion of the rod from the eye down was going to be inserted into the lower part so I covered it all with cement. Insert the upper portion of the rod into the lower portion. Slide the upper portion of the rod as far down as it will go making sure all the eyes are lined up. Remove the cement that accumulates the next day.